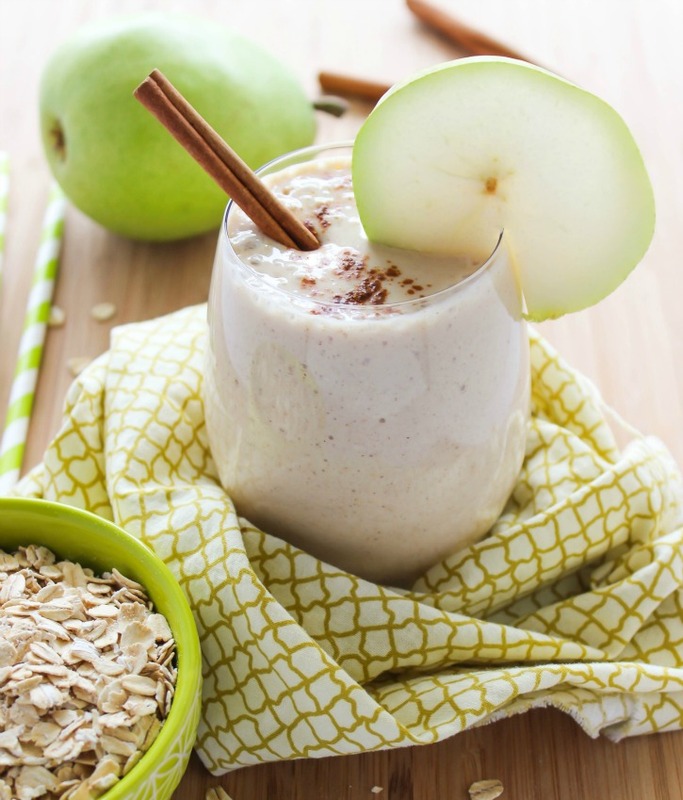 Enjoy the delicious flavors of chai with this Chai Spice Smoothie recipe. This caffeine-free and grain-free smoothie is a tasty and healthy smoothie for fall and winter. A quick and easy breakfast recipe for mornings on the go! Good morning! 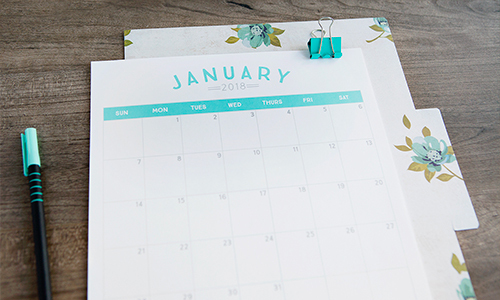 It’s Kate from The Casual Craftlete blog. With Halloween weekend being over and the holidays coming up, I have been eating way more candy than I should be. So, I could use a healthy smoothie recipe to get me back on track. 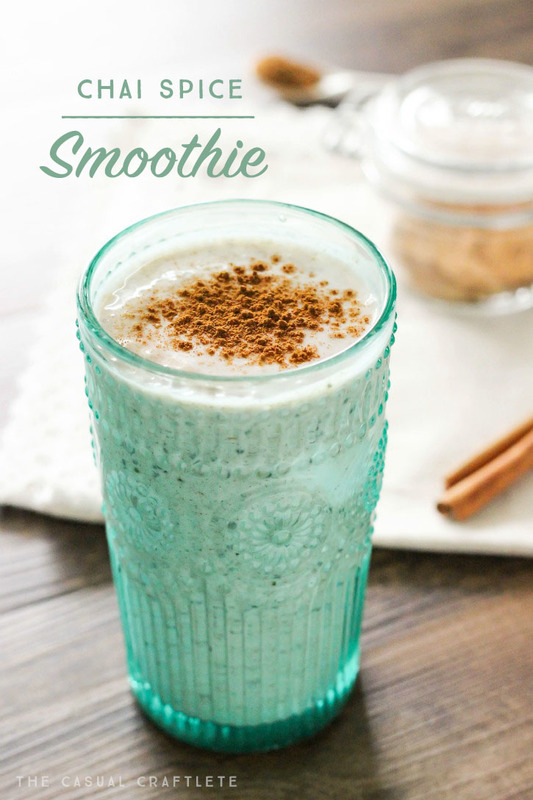 This Chai Spice Smoothie recipe is made with a simple homemade chai spice mix and some of my favorite smoothie ingredients. Chai always reminds me of fall and cooler temps. The warm spices sure do kick up the flavors in this smoothie recipe! Lately I have been on a chai kick. I love the flavor of chai so much, I wanted to make a smoothie recipe at home with the spices. 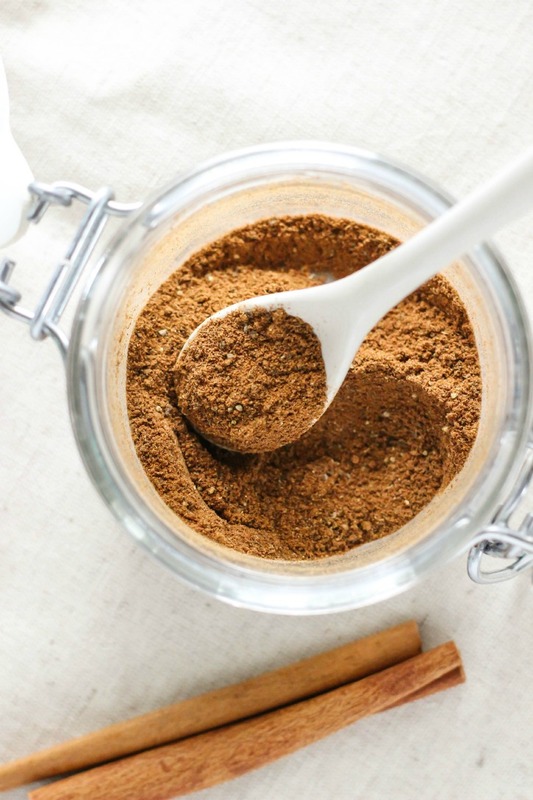 I made my own chai spice mix that is super easy to make. It has a nice warm heat from all of the ground spices. You can use the chai spice mix in other types of smoothies and drinks and it’s great to have on hand. Here is how to make the Chai Spice Smoothie. Combine all ingredients into a large blender and blend until smooth and creamy. Garnish with ground cinnamon. 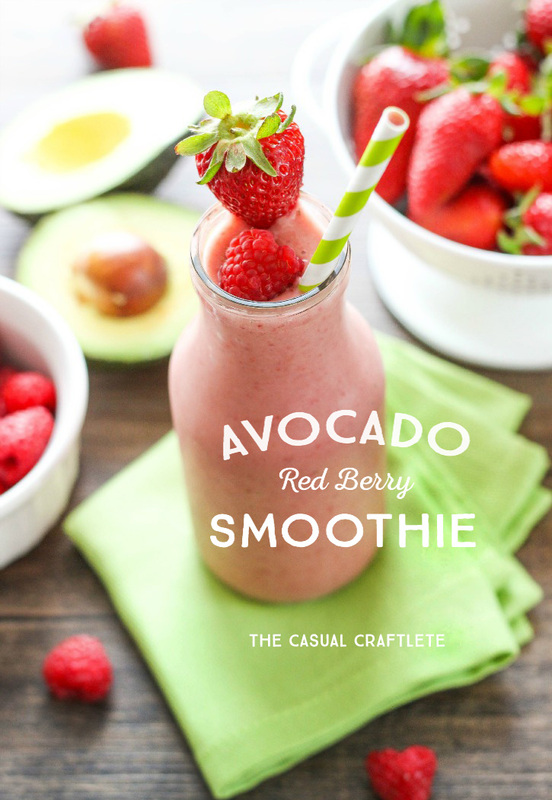 This recipe makes 1 large smoothie or 2 small smoothies. 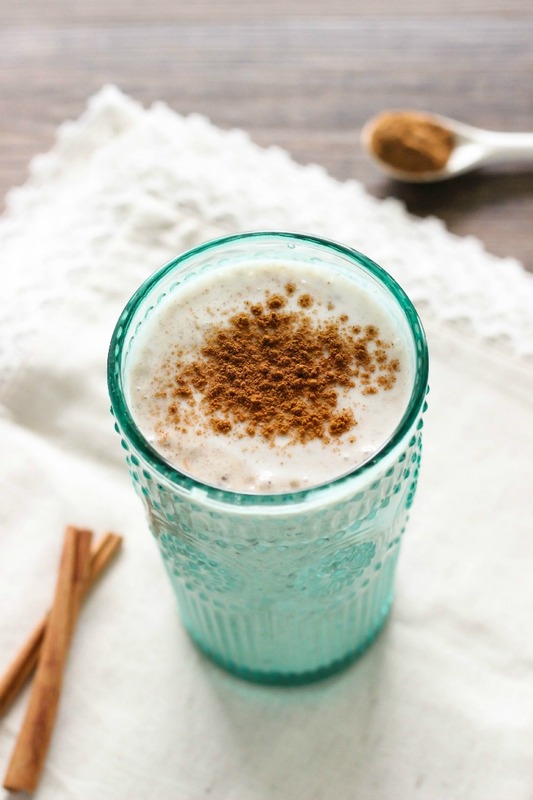 You can substitute any of the ingredients to make this chai spice smoothie fit your dietary and lifestyle needs. Thank you so much for having me today. 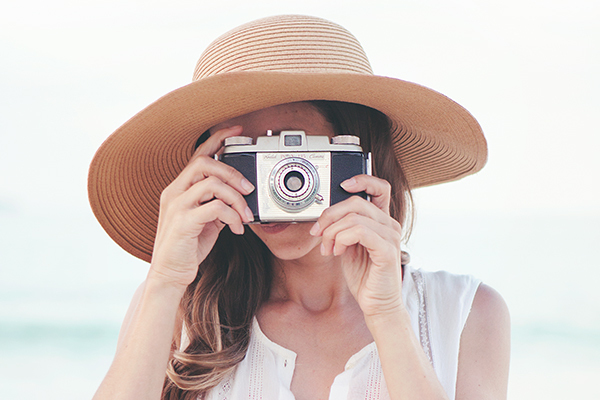 I hope you are able to try my chai spice smoothie recipe. It is super tasty and perfect for this time of year! 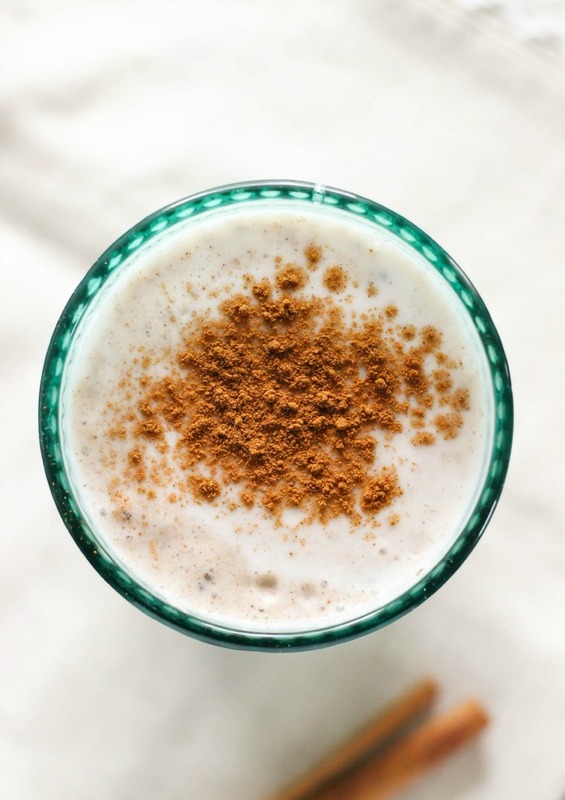 Oh my goodness I have got to try this Chai Spice Smoothie! It sounds absolutely scrumptious. Thanks for sharing. What a lovely post!! I am from India and my day is never complete without chai. We make masala(spicy) chai using fresh ginger and chai spice powder which has cardamom, black pepper, cloves and sometimes nutmeg. Will surely try your smoothie. Where did you get this glass from ? It is gorgeous! I love this. A nice change from the usual fruit smoothies. Definitely giving this a try. I am a sucker for smoothies. Thanks for sharing the recipe, I will definitely try it in the days to come. I love the cinnamon taste, it boosts my mood every time I try it!